Address Our Mess will be offering holiday pricing for clutter clean up in the East Coast, now through the end of the year. Address Our Mess is taking the initiative to provide specialty cleaning services that will resolve any clutter dilemmas delaying the joy the holidays bring. 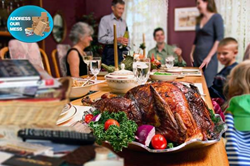 The holidays are a time to be with friends and family, but if the home is a mess people may be a little hesitant to host a gathering at home. Address Our Mess is helping out this year by offering holiday pricing for specialty clean up services offered to the East Coast in time for the holidays. Boxes and bags, miscellaneous clutter, trash, whatever is crowding the property will be dealt with and their threat will be dismissed. Address Our Mess is aiming to allow families to be at ease for this year's celebrations. There is enough stress with work, kids, and whatever else is piling up on everyone's plate - especially with holiday preparation added to the equation, so there is no need to let clutter be one another stress. Address Our Mess is taking the initiative to provide specialty cleaning services that will resolve any clutter dilemmas delaying the joy the holidays bring. If the “mess” in residence is outstanding, that will not intimidate the trained, qualified staff. Over time these professionals have gained valuable experience and training, permitting them to be efficient workers. In addition to their technical background, these individuals are compassionate and empathetic, which results in personalized, supportive service. Address Our Mess seeks to provide holiday pricing for specialty clean up services that will help clients for their holiday preparation clean up needs. Some people have been planning on hosting this year’s holiday festivities at home, but having house-guests trip over clutter is not in the plan. Address Our Mess staff will be working with the individual prior to the festivities in order to sort through and organize any home clutter, avoiding any embarrassment. During this process, employees work with the client to sort through and categorize items into three categories: keep, trash, and donate. Since it is the holidays, people may be more inclined to donate many belongings that are in good condition so that others may enjoy the products – it is the season of giving after all. In addition to clearing home clutter, deep cleaning services are also included to produce an immaculate, sparkling home that will outshine those early Christmas lights shining in the night. Take the time to be thankful for friends, family, and all of the blessings and opportunities (and don’t forget to enjoy the holiday fun too). This year, the East Coast will be able to take advantage of the holiday pricing and utilize these accommodating cleaning services to clear time and space in their busy homes until the end of the year. Holidays should be a time of bonding, relaxation, and gratefulness as well as giving. Address Our Mess is aspiring to help prepare for the festivities, pass along unblemished goods to the less fortunate, and make life a bit easier.